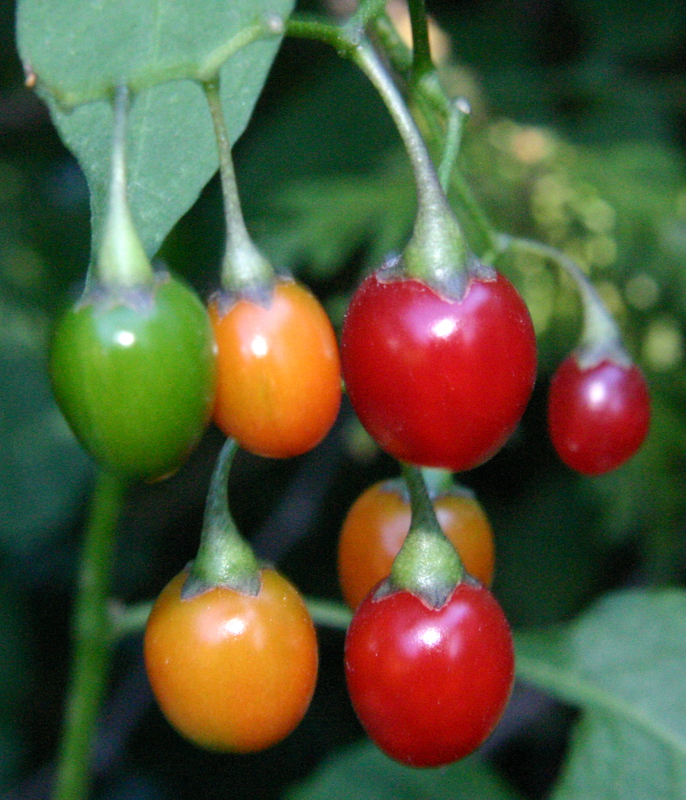 All parts of this plant are poisonous. See Notes. Climbing vine with woody stem. Leaves can be ovaloid or three-lobed. 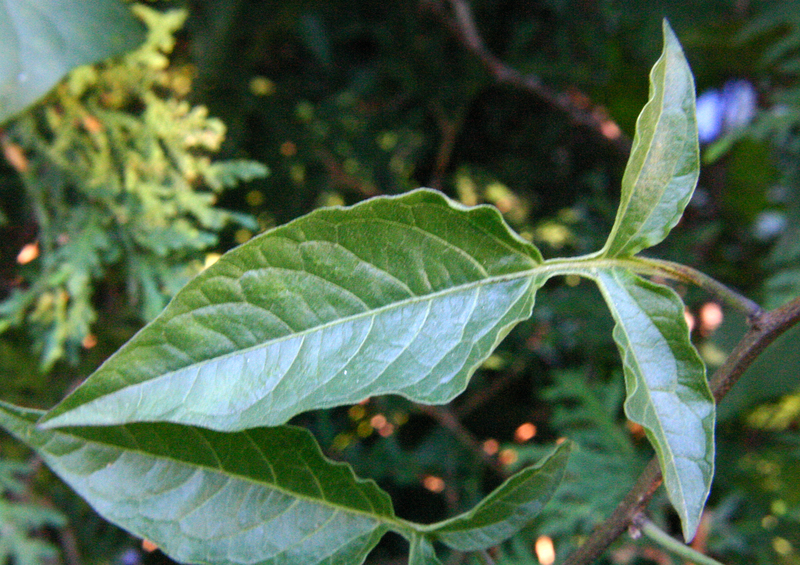 Lobed leaves are very distinctive and have deep sinuses. 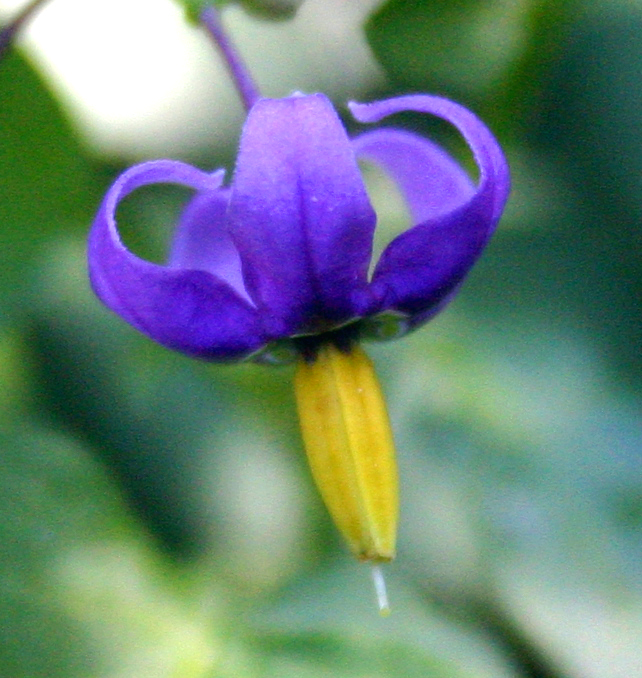 Flower petals are purple, curly, and star-shaped with yellow stamens at center. Flowers present May through October. Fruits are berry-like and orange to red in color. Fruits present September through November. Found in disturbed areas and waste places. Invasive alien ranging from Southern Canada through Florida and westward. 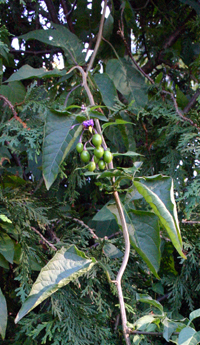 All parts of Woody Nightshade may be used as a steroid base. used externally as folk remedy for warts and tumors. Contain narcotic properties of use in treating whooping cough, rheumatism, gout, bronchitis, and skin eruptions. Approved in Germany for treatment of eczema, acne, and warts. Stems have lower amounts of toxic alkaloids but all parts are toxic. All parts can cause vomiting, convulsions, vertigo, and paralysis. 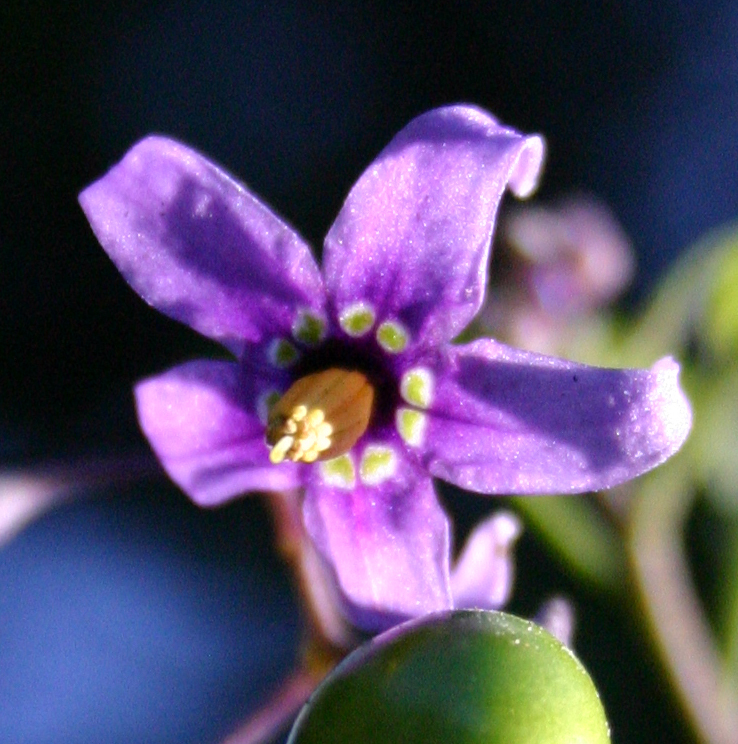 However, anticancer compounds have been found in Woody Nightshade.